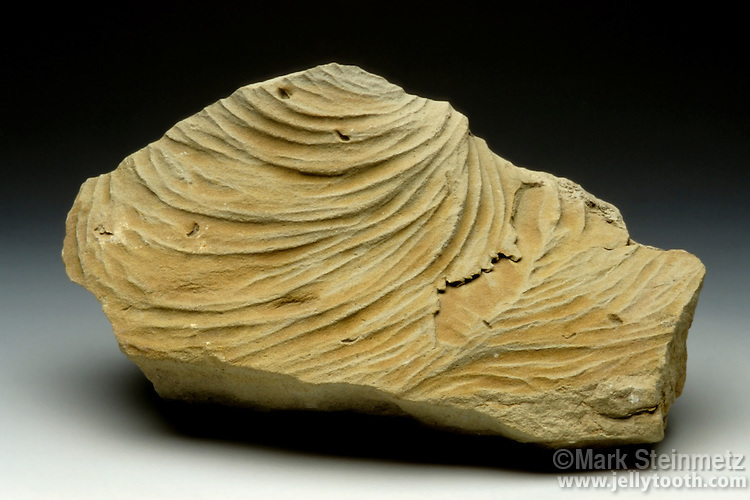 Zoophycus trace fossil. Formed in siltstone, these traces left in soft silt in shallow marine environments that eventially became rock were thought to be produced by ichnogenus feeding worms. Zoophycus trace fossils characteristically start from a central point and arc out. Northern Kentucky.